Every year Mommy and I make it our business to visit a pumpkin patch. 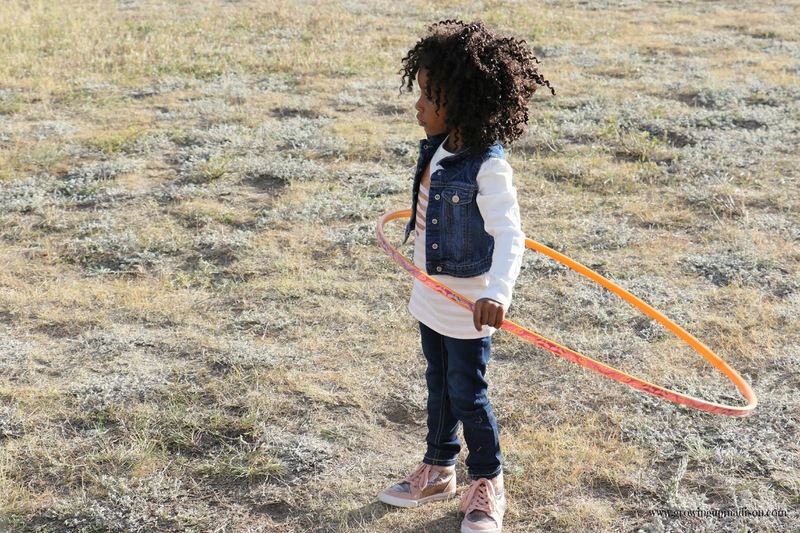 Since she's originally from Brooklyn, NY there is no such thing as a pumpkin patch. She used to get their pumpkins from the supermarket or they would buy fake ones from the store. Mommy would tell you that she can't tell how many times she's been asked the question since she's lived in Colorado, "do you go skiing? what about camping?" and she will say the same thing that she's been saying for the past 4 years since she's lived here - "I grew up in a concrete jungle, there is no camping unless we build a tent made of sheets in our house." As for skiing, the closest they've come to skiing was that blizzard they had in 2009. My brothers said they were bundled up and they dragged themselves around on sleds. 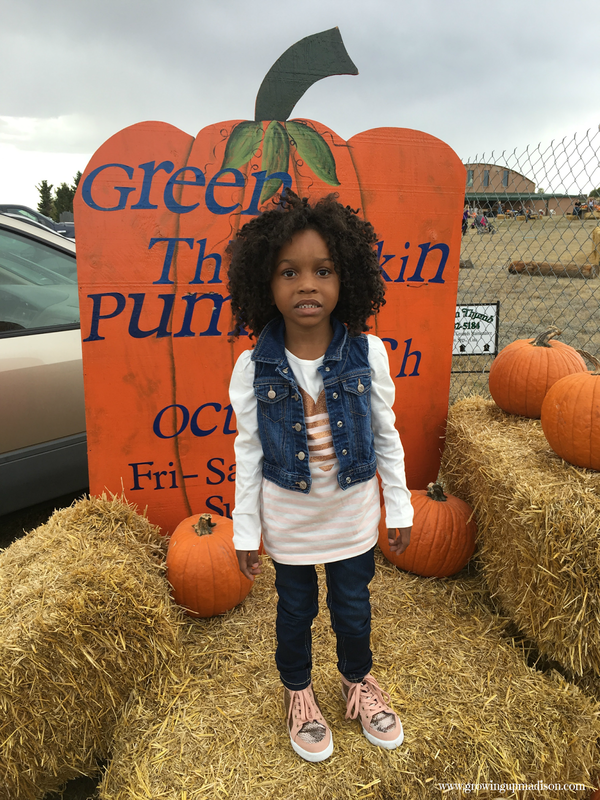 I was born in Colorado and while I have plans on maybe doing a few of the things "Coloradans" are known for, for now we're going to stick with visiting pumpkin patches during the Fall. 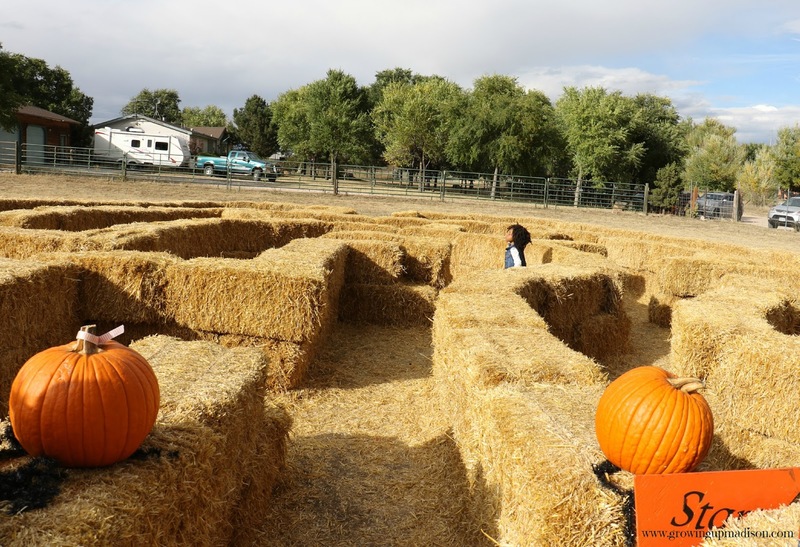 Last year we paid a visit to Diana's Pumpkin Patch and Corn Maze and you can read all about our visit. This year we found out that there was one that was much closer to home. Actually it was only a 20 minute drive and while it was a bit more expensive we decided that we were going to pay them a visit. 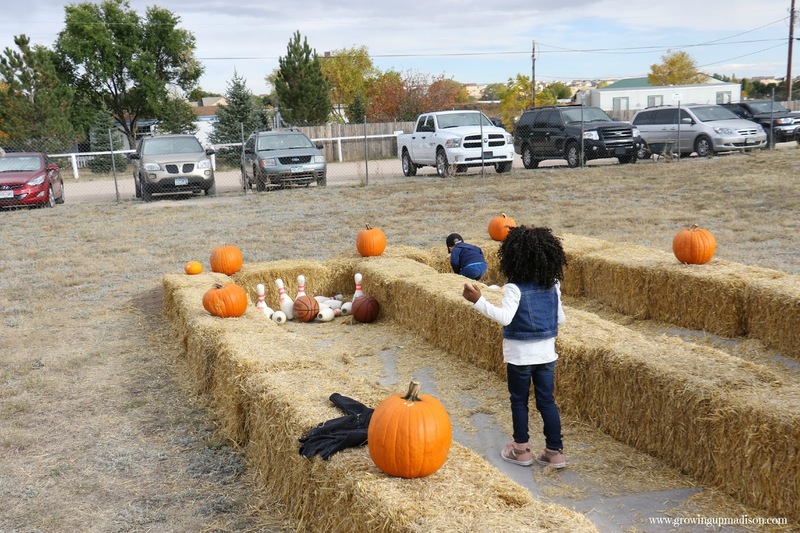 So we got into the car and drove to the Green Thumbkin Pumpkin Patch. I'm splitting this post into two since there is so much to do here. Now it was a dreary day and the rain threatened to fall while we were on our way so it was very cloudy. Mommy tried convincing me that maybe we should go on another day but I wasn't having it. If it's one thing that she needs to remember is "never promise a pre-schooler anything because they never forget". However we finally made it and I have to say that I had a lot of fun. While this was a little smaller than the one we went to last year, it made up for it with the activities that it had. There was however no corn maze but to be honest we didn't even miss it. 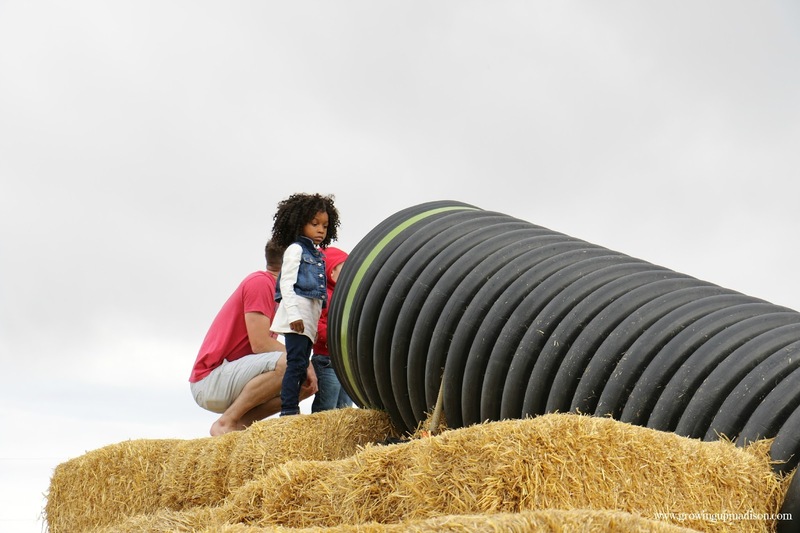 I had fun climbing up the bales of hay and then sliding down the tube to land at the bottom. 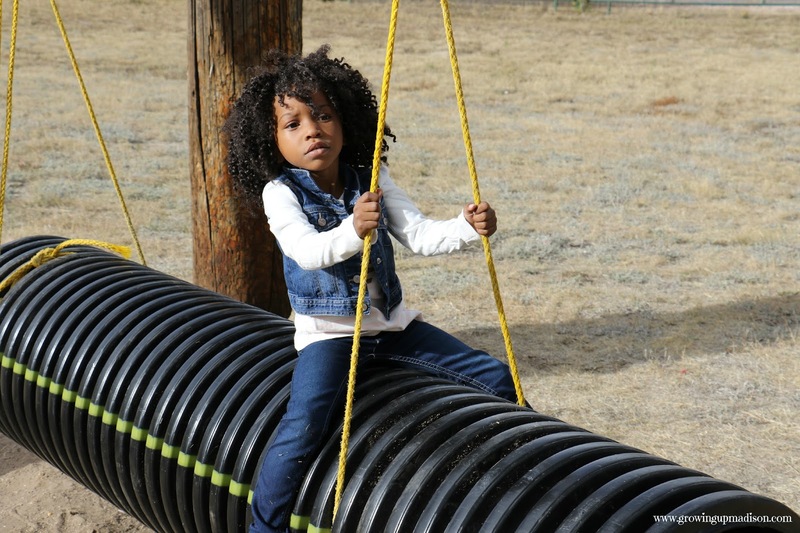 Then it was off to ride the big rubber tube. Next I made it through the Straw Maze. Yes I did all by myself! 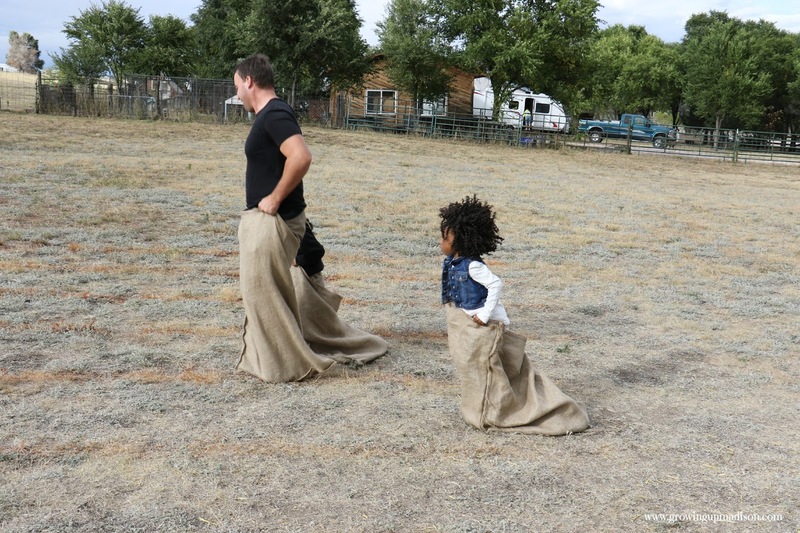 Next I decided it was time to do the sack race. The mommies stood on the side and cheered us on but one dad decided to join in with us. I didn't win but it was fun trying. Then it was off to play a few games. As if that wasn't enough I even got into a puppet show. 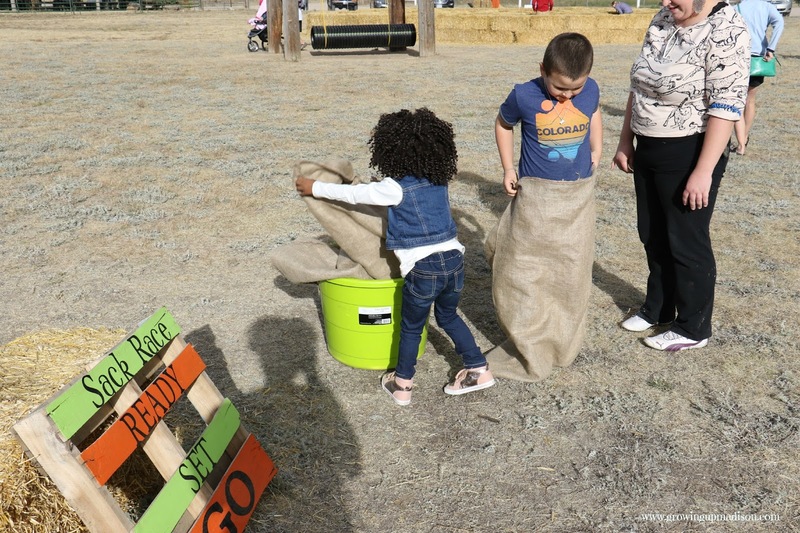 There was so much to do at the Green Thumbkin Pumpkin Patch that I think I'll be visiting again next year. If you're in the Colorado Springs area, I would suggest paying them a visit. 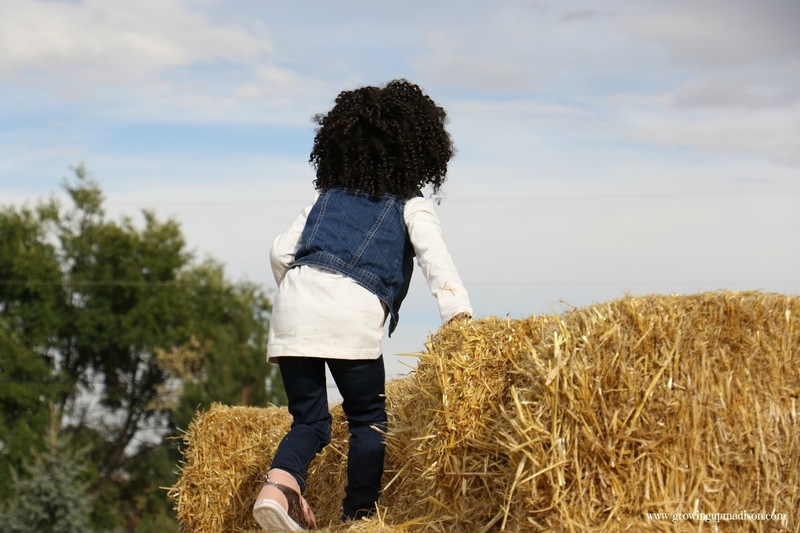 Let's discuss: Did you visit a pumpkin patch this year with your own kids? Madison, you look more and more like your pretty mom every day! No concrete jungle here and not even where I grew up in NJ, but I love to see you experiencing this too. My kids would have a BLAST here. We don't have pumpkin patches quite like this. But they all have their fun things. We never even made it to the pumpkin patch this year. Next year hopefully. 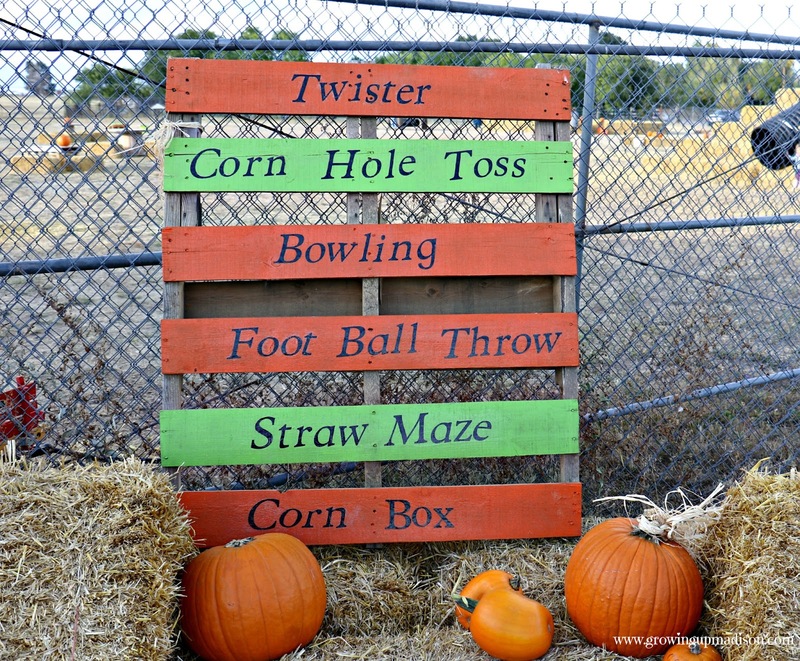 Oh my gosh this looks like the best pumpkin patch ever! You guys got to do so many fun things. That slingshot game is so neat! Looks like it was such a fun day! 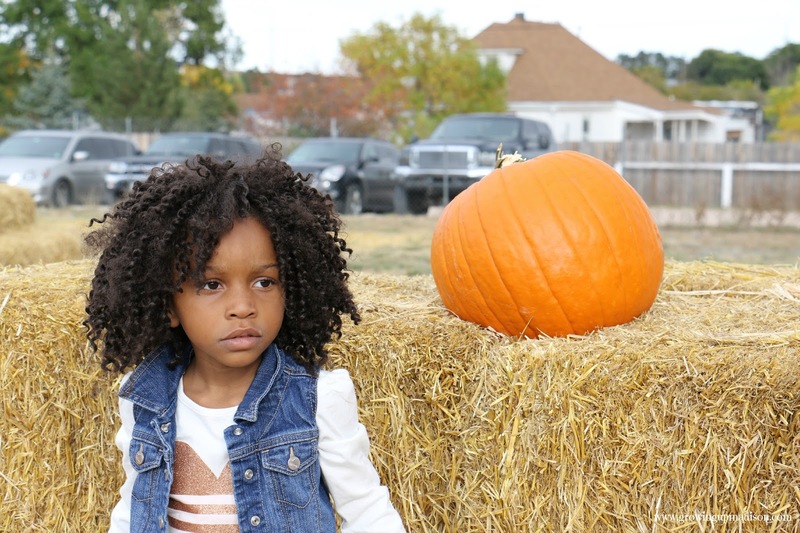 I miss going to the pumpkin patch now that my kids are grown! That looks like such an amazingly fun time. Perfect weather too. Looks like a great time! 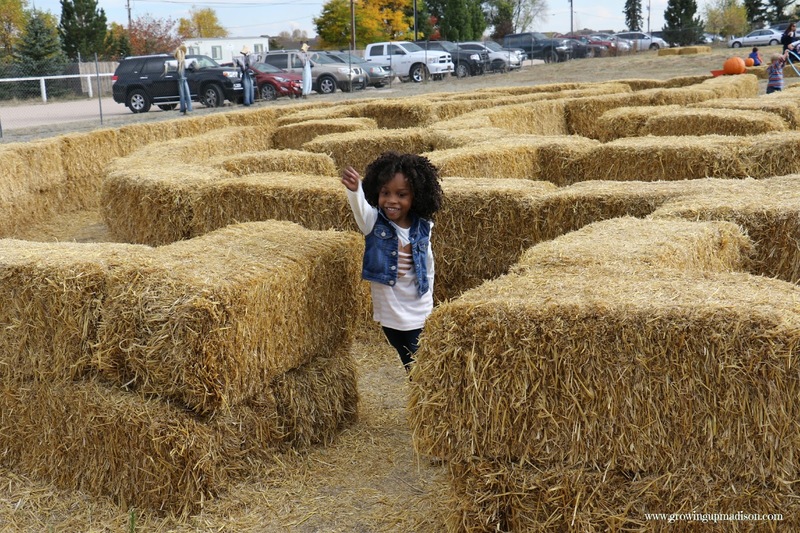 We normally go to the corn maze in the fall, but we haven't been yet. Our pumpkin patch isn't nearly as cool as yours is! These photos are so cute. This would be a great way to spend the day with the kids. Looks like you had a great time. 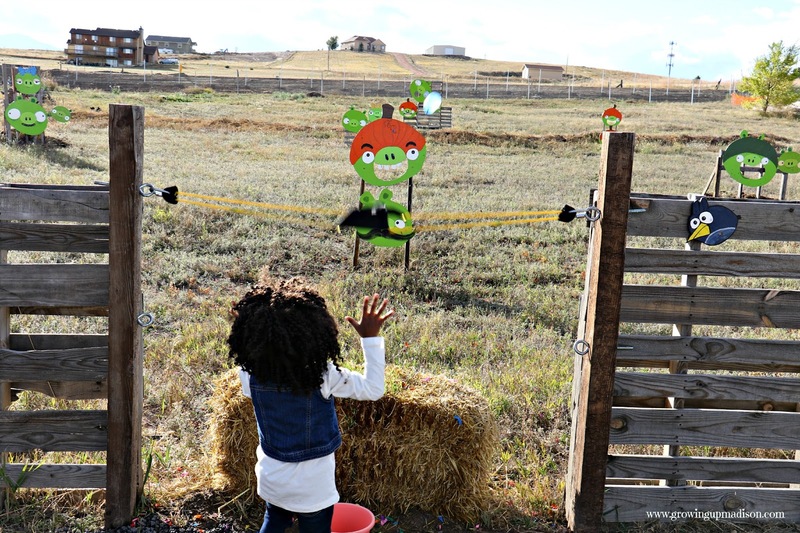 Looks like you had a wonderful time at the pumpkin patch. 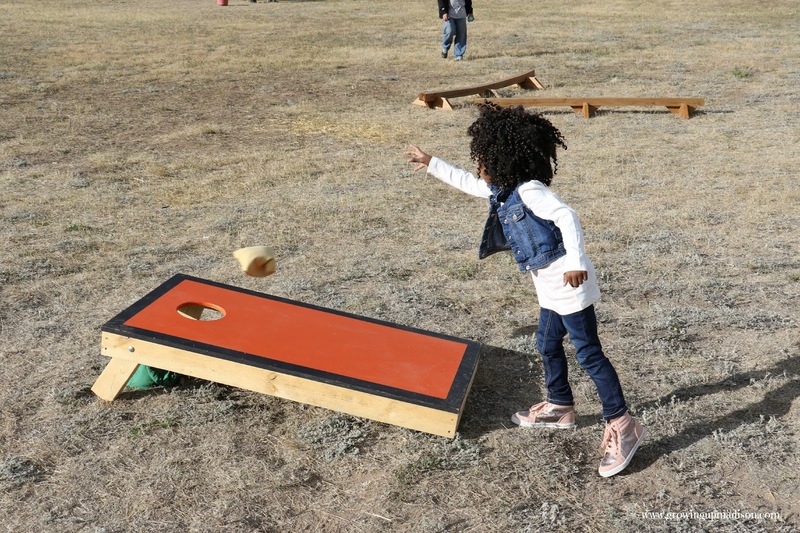 I love that they have a lot of activities for the kids. It really looks like a fall paradise for kids there! Love all the fun activities they have to do! We didn't get to go pumpkin picking this year. It's been two years actually since the last time we went. Maybe next year. Looks like so much fun! 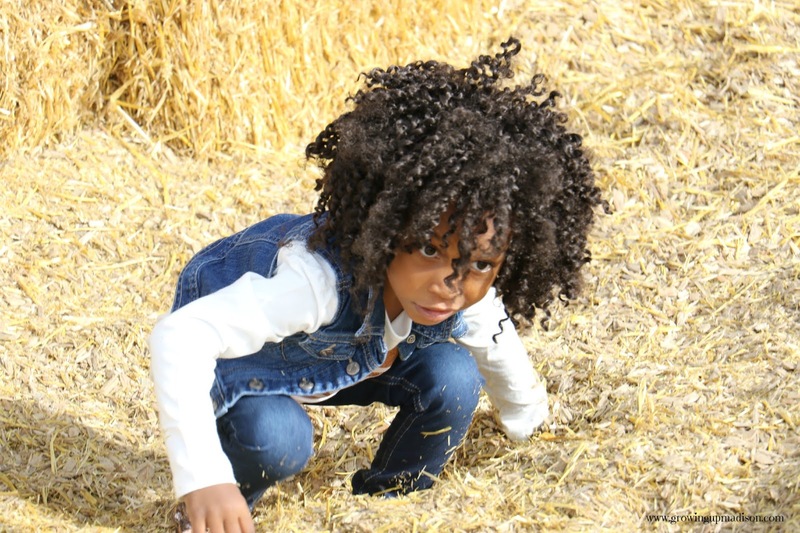 Going to the pumpkin patch is so much fun. I love all of the fun colors and how Madison's eyes are wide with joy and amazement. This looks like a wonderful pumpkin patch to visit. The pictures are beautiful enough to explain that you have had a wonderful time out there. My kids would love visiting one such place & have some fun. 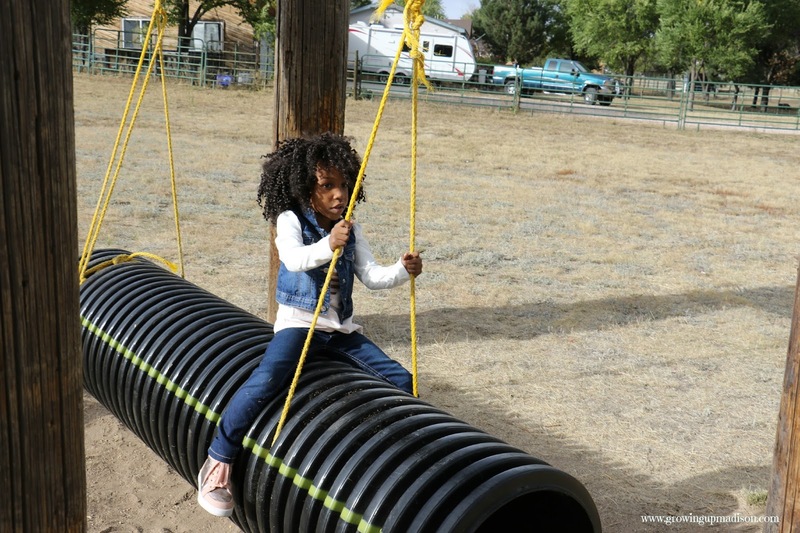 I just love the idea of the kids getting out and having so much to do in one place! Looks like she had a great time.